Two concerts featuring music from opposite ends of the jazz spectrum will be performed by OCCC’s jazz ensembles this week. By contrast, the performance at 7:30 p.m. Thursday, Oct. 11, will be flavored with blues and protest lyrics from the 1930s and ‘40s, said music Professor Michael Boyle, who leads both ensembles. The free performances will be in the Bruce Owen Theater. They are offered in honor of National Humanities Week, Boyle said. “The Jazz of Gatsby” performance will correlate with The Big Read, an annual celebration of literacy and literature. Boyle said the bands will be playing a themed show of music popularized in the Roaring Twenties by Cole Porter, George and Ira Gershwin, and Irving Berlin. The other concert will pay tribute to Oklahoma native and music legend Woody Guthrie, who inspired the music to be played on Oct. 11. Boyle said that after the success of performances he arranged for last year’s Humanities week, he knew that participating again this semester was a must. “We decided to have a more focused approach to this year’s concerts,” Boyle said, indicating that is what led him to undertake preparing to play some of Guthrie’s music. Boyle noted that the show is meant to be a celebration of sorts for the late Guthrie’s 100th birthday. Guthrie was born in Okemah, about 60 miles east of Oklahoma City. As a folk singer in the 1930s , he was widely regarded as one of the most influential musicians of his genre. His legacy lives on today in the styles of other musicians, most notably Bob Dylan and Joni Mitchell. The Oct. 11 concert will feature music by Billy Bragg, Wilco, and especially the works of an Illinois native and folk rock singer/songwriter named Jonathan Brooke. Boyle said that bands such as Wilco and artists like Brooke and Bragg have all taken poetry written by Guthrie and set it to music, adding to Guthrie’s lengthy body of work and extending his legacy. The setlist will feature Guthrie staples and some songs made popular by the aforementioned artists, Boyle said. “All You Fascists,” “Christ for President,” and “Sweet and Bitter Bowl” will all be included. Students in the jazz bands are practicing diligently to hone their skills for the concerts. Nicole Pearce, who is a music major and vocalist for the band, talked about the hours of work that she and other students are putting in. She said she practices every single day. Boyle is pleased with the progress the musicians are making. 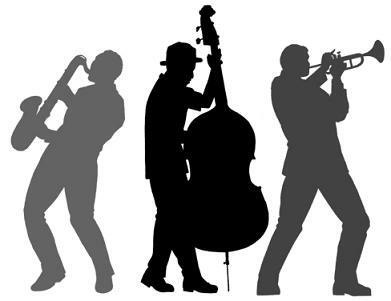 If you’re interested in becoming involved in the school’s jazz music bands or you’ve got questions, contact Michael Boyle at mboyle@occc.edu.